Do you get the all too common droggy feeling in the afternoon? No matter how much you love what you are doing, at that moment you probably don’t feel like doing it. Well forget 5 hour energy. Spirulina benefits energy levels and is a much healthier choice. Just carry around some spirulina tablets with you and take them when needed. First comes leucine. Leucine is thought to lead to better energy balances within the body. The amount of literature on this particular amino acid as it relates to energy is growing but its exact impact is not sure. This next ingredient may be surprising to you, and that is tryptophane. NO it doesn’t make you sleepy. That is just a common myth. Tryptophane has many benefits, one of which is it increases your body’s ability to make use of B vitamins. B vitamins as you may know, are commonly used to increase energy. So in this way you could say that tryptophane indirectly increases your energy. Aspartic acid, which is in spirulina, helps convert carbohydrates into cellular energy. With carbs being the body’s number one source of energy, having healthy aspartic acid levels is crucial. The last of the amino acids that plays an important enough rule in the body’s energy levels to include here is glycine. This non-essential amino acid helps regulate blood sugar levels by converting glucose to energy. It is sometimes supplemented by those who experience abnormally low energy levels and fatigue easily. Moving on, spirulina’s vitamin content has a positive impact on your energy. Have you ever heard of taking more B vitamins to increase energy levels? Well don’t bother with the pills. Replace them with spirulina. It includes a variety of B vitamins including vitamin B1, B2, & B6. All of the B vitamins will boost energy by actively helping the body convert carbs into glucose. Then there is also biotin and vitamin E which is helpful for energy. Glucose is widely used in the body for energy. Everyone’s body uses ATP molecules for energy. But in order for these molecules to produce energy they must have another input molecule such as glucose. Of these vitamins, spirulina contains the greatest “usable” amount of vitamin B6. This vitamin is very important in the metabolism of hemoglobin. And why is hemoglobin important? Because it transports oxygen through the blood and this oxygen is needed for ATP to produce energy. note- Spirulina does NOT contain vitamin B12 that is “usable” by the body. When you hear this it is a massive marketing scam and is used to sucker people into buying spirulina for the benefits of vitamin B12. It does contain a large amount of pseudovitamin B12 but this is biologically inactive. 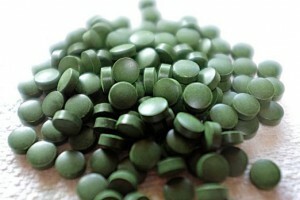 Do NOT buy spirulina thinking that you are getting a massive supply of this vitamin. When I mention biotin in this section you may be confused as to why I am including it here. Many people only think of how it benefits your hair and nails but it is very helpful for energy too. Biotin helps your body turn fats, carbs, and proteins into forms that are able to be used by the body. Having low biotin intake can leave you feeling fatigued easily. Vitamin E, on the other hand is more know for its energy capabilities. It is important for the oxygenation of cells and is proven to protect and even increase mitochondrial energy production. Spirulina is a good source of vitamin E, having more per weight than pure wheat germ which is heavily marketed for its content of this vitamin. And lastly, you can’t forget about the energy from carbs.. I know you are probably thinking “oh no” carbs? Well don’t worry spirulina does not contain much of either, but what it does contain is very helpful for nice clean energy. Its carbs, which account for only about 20% of its weight (very low), are mostly comprised of glycogen. There are NO known vegetables that contain readily made glycogen (can be used right away), so it is a pretty big deal. Others would contain carbs that your body would have to convert into glycogen. And why is glycogen important? Well it is stored in the muscles and provides your body with energy that is ready to go when needed. Since its glycogen is already made and ready to assimilate it is not hard on the pancreas or precipitating hypoglycemia. It provides your body with quick and clean energy when needed. Its MUCH MUCH healthier and may be just what you are looking for to stay out of that low energy period that we all seem to get. Its not going to give you the insane energy that you might be used to getting from caffeine but it will keep you out of that slump. For “low energy” situations I would recommend spirulina tablets. Why? Because we are usually going about our day when when we hit the energy “wall” and don’t have time to blend a spirulina shake. With tablets you can just carry them around and take them easily when needed. Thats all folks! If you have a question or comment be sure to leave it below! Thanks for reading. Wow, I had heard that spirulina is a healthy grain, but. Had no idea how loaded it is with nutrients; it really is a superfood! I’m not really a shake or smoothie person, so I would probably look into taking it as either a tablet or capsule. It might be interesting to cook with it – have you tried eating the spirulina prepared in a recipe that you can recommend? Its actually a bacteria. Taking the tablets would be my recommendation. I have never prepared it in a cooking type recipe. But I am interested in doing so and have to look more into it. I just drink a spirulina smoothie every morning. Heres an article on making a basic spirulina smoothie if you would like to learn more. We all are craving for more energy, your article on spirulina is very interesting and new to me. I do try to keep up with such things, I am very health conscious with some health issues which flare up from time to time. I have only one question, is this gluten free? Many of the products I see are not gluten free. Yes sir. Spirulina is 100% gluten free. Great article on the benefits of spirulina. I have a question for you, is there any side effects from taking it? Eg constipation, bloating, sleeplessness? Just curious if it messes with your body’s natural flora at all. 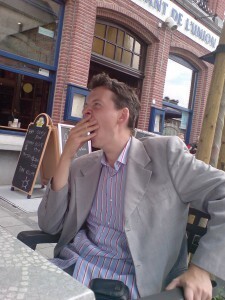 I certainly love the idea of bypassing that mid afternoon energy slump. Do you take it as a regular dose or just as required? Really interesting information about Spirulina, I had no idea it had so many benefits so I’m definitely going to get some after reading this as I always find myself lacking on energy. I especially like making smoothies with things like this in – are there any specific recipes you would recommend that go well with the taste of spirulina?